The U.S. Army is the largest and oldest branch of the U.S. Military, celebrate this freedom fighting force with the Army Tradition T-Shirt. 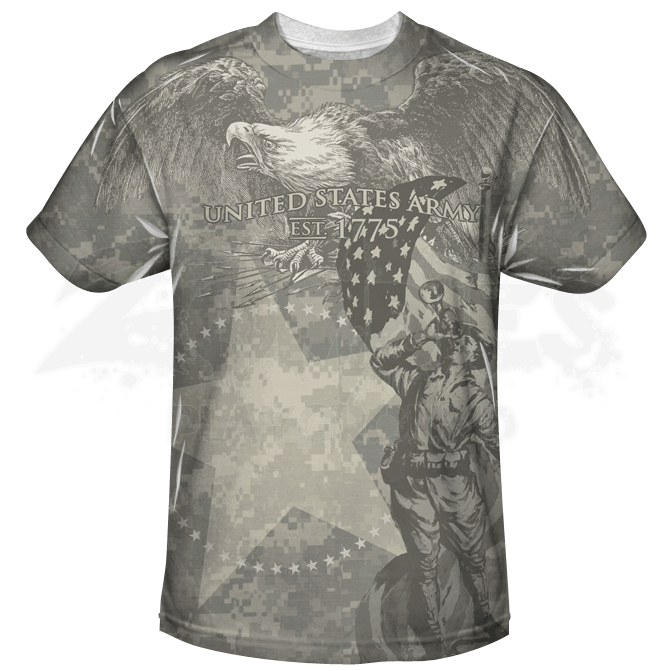 This unique t-shirt boasts a stunning design to proudly represent the U.S. Army. Set font and back in a modern digital camouflage, the front of the shirt features a bald eagle spanning shoulder to shoulder with a traditional style bugler playing underneath an American flag. The back of the shirt features stars in a circular pattern with the words United States Army. Embrace this long tradition with the Army Tradition Long Sleeve Shirt.